In view of the worst devastation in nearly a century suffered by Kerala due to rains and floods, the government on Tuesday cancelled this year’s Onam celebrations, Chief Minister Pinarayi Vijayan announced. The harvest festival is one event that is celebrated across the state. The Kerala government, which had earmarked Rs 30 crore for the cultural events to be held all across the state, decided to divert that amount to the Chief Minister’s Distress Relief Fund. 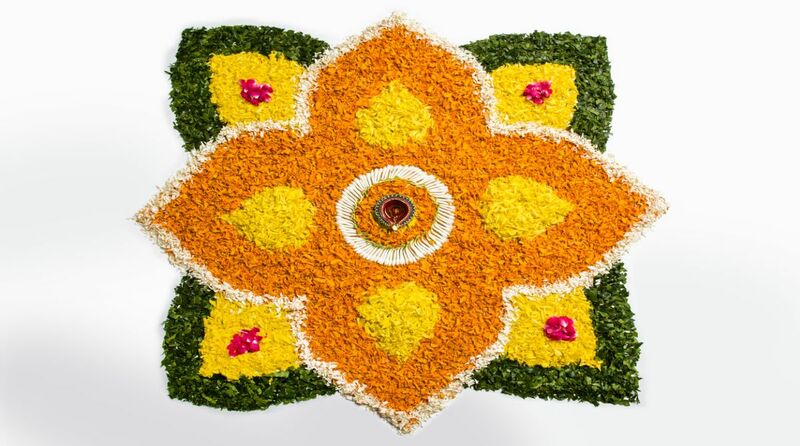 The week-long festivities were to take place in August — with the Thiru Onam falling on August 25. “What has occurred in our state has been the worst ever (disaster). A total of 444 villages have been affected. “The money set aside for Onam will be used for relief. We seek everyone’s help in our efforts,” Vijayan told the media after a cabinet meeting. Since August 8, there has been widespread destruction following incessant rains, causing rivers to overflow. The opening of shutters of 27 dams in the state led to huge destruction of crops and properties. In the last one week, 38 people have died and four are missing. According to a rough estimate, more than one lakh people have been affected. The worst affected have been Idukki and Wayanad districts. Palakkad, Malappuram, Kozhikode and Ernakulam too have been badly hit. “From September 3 to 15, special courts would be held to see that all those who lost valuable records are issued duplicate ones and that too free of cost. “We have also asked the State Level Bankers Committee to see that when the compensation amount is transferred, they should not levy any charges,” said Vijayan.